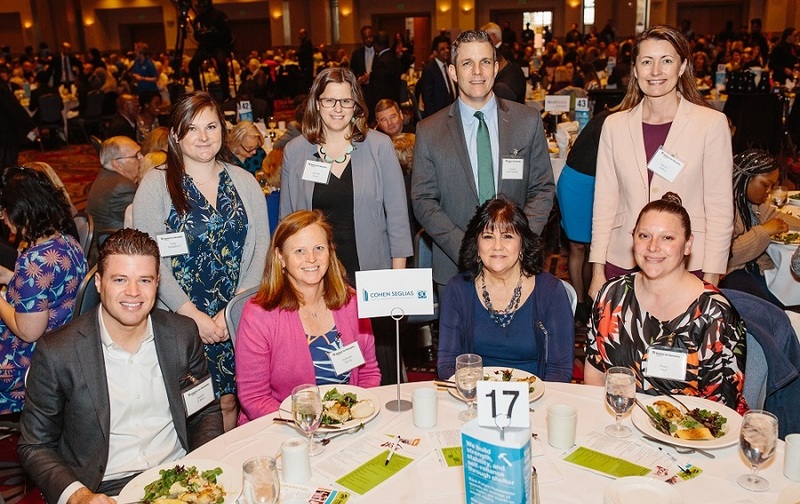 On May 1, Cohen Seglias joined Habitat for Humanity Philadelphia at their annual Building HOPE Luncheon as a Block Builder sponsor. Cohen Seglias is committed to Habitat’s mission of creating safe, sustainable, and affordable housing with and for families in need. Through our Block Builder sponsorship and two volunteer days where Cohen Seglias attorneys, staff, and clients work together at the build sites, Cohen Seglias is helping Habitat achieve this shared goal. If you are interested in supporting the Firm’s efforts, please consider donating construction materials or gently used furniture and appliances to your local ReStore, Habitat’s nonprofit home improvement store. Habitat for Humanity International’s vision is a world where everyone has a decent place to live. Anchored by the conviction that housing provides a critical foundation for breaking the cycle of poverty, Habitat has helped more than 6.8 million people construct, rehabilitate or preserve homes since 1976. Habitat also advocates to improve access to decent and affordable shelter and supports a variety of funding models that enable families with limited resources to make needed improvements on their homes as their time and resources allow. As a nonprofit housing organization, Habitat works in more than 70 countries and welcomes people of all races, religions, and nationalities to partner in its mission. For more information on Habitat for Humanity, and to learn how you can help, please visit their website.